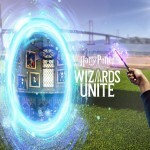 Niantic, creators of Pokemon Go, has announced that their new wizarding world-themed augmented reality mobile game, Harry Potter: Wizards Unite, will launch in 2019, coproduced by WG Games and Portkey Games. You can sign up for updates here to be kept apprised of the release date. Within the game, players are witches and wizards who are members of the Statute of Secrecy Task Force. The wizarding world is at risk of exposure to Muggles, and traces of errant magic must be erased or some terrible calamity will occur. The preview video shows a witch apparating into a deserted Muggle alleyway to immobilise a Snitch that may have escaped from a Quidditch pitch—or did someone leave it there on purpose? We don’t yet know whether these instances of magic are accidentally set loose in the Muggle world, or simply pranks, like the biting tea cups Arthur Weasley had to deal with in the Misuse of Muggle Artefacts office, or whether something more sinister is going on. According to Pottermore, the game was originally set to launch this year but the release date has been pushed back. 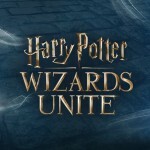 The game now has a new logo, featuring Harry, Hermione, and Ron’s wands, implying that there is more power when people work together. Is niffler a valid Scrabble word? 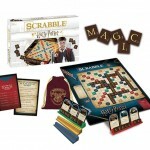 It is in the Harry Potter edition from USAopoly!